How is the maize grown? How big is the maize maze? Is it easy to get lost? 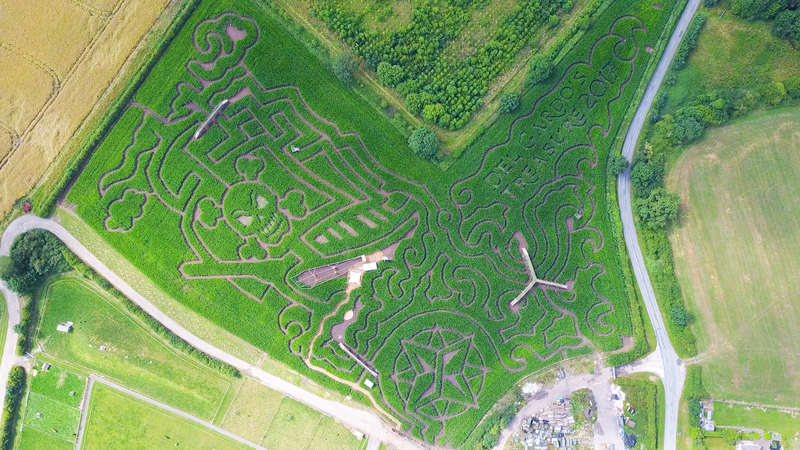 Why did you open a Maize Maze? Why a pirate maze in 2017? The seeds are cross drilled so twice as many seeds are planted to create a denser crop to make a better maze. Maize loves sunshine and needs some rain to grow – too wet and its growth is stunted. The Adventure Farm’s maize crop needs 2500 Ontario Units (OHUs) to reach maturity.